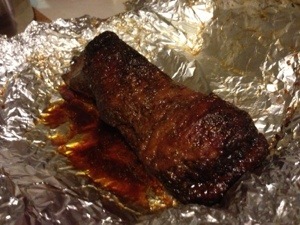 Around 8 am this morning my husband started preparing the evenings dinner, a beef brisket. He used a low and slow BBQ technique he found on the BBQ pit boys website, the recipe can be found here. 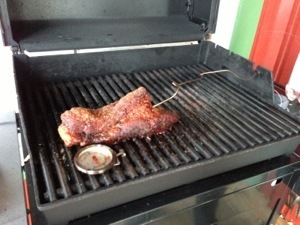 Shortly before 6 pm the meat was ready and we sat down for dinner. It’s always exciting when you try a new recipe as you don’t know how the result will be but I have to say I’ve never tasted anything bad whenever Mathias has used a new BBQ recipe. He’s a fantastic grill master! 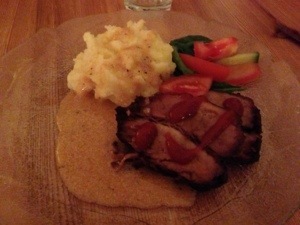 We ate mashed potato, salad, our home made BBQ sauce (recipe from BBQ pit boys too) as well as a warm sauce made from the gravy. 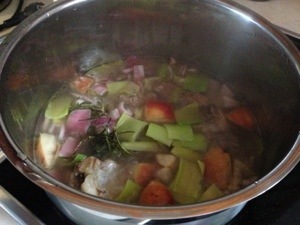 And while he waited for the beef brisket to get done he made a home made beef bouillon. Oh it tasted good! Gonna use some of it for dinner tomorrow!